Carlos Colon, father of Carlito and Primo and uncle of Epico has been semi-announced for the WWE Hall of Fame Class of 2014 according to Colon himself and a report from Smackdown tapings tonight, March 11th. Colon’s inclusion comes as a great suprise in that he has not been rumored nor mentioned in any previous rumored names nor has any real ties to the Mid South/New Orleans area. Still, his inclusion is one which has been expected for many years both due to his time as the face of Puerto Rican wrestling and promoter abilities. I will put out a full post sometime this week. 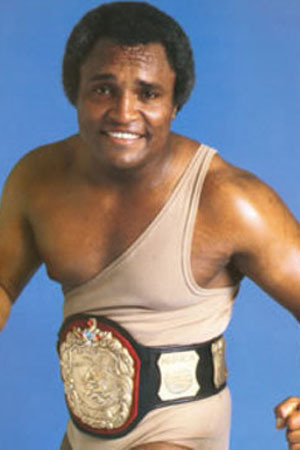 Take a look at Carlos Colon doing his stuff! This entry was posted in WWE Hall of Fame NEWS and tagged carlos colon. Bookmark the permalink. I agree this is a surprise, especially since Carlito left on kind of bad terms. Carlos is an interesting debate – he was not much of a star beyond Puerto Rico, but on the island he is probably the only true legend and drew big crowds at times. I guess if S.D. Jones and Baron Mikel Scicluna are in the Hall of Fame, Carlos should be in it, too.